The Maldives is one of the most unique holiday destinations in the world! A vast underwater mountain range makes up the country, less than 4% of which breaks the water’s surface. The visible tips of the range form over 1000 low-lying islands. Roughly 200 of these islands are inhabited, and nearly 100 of them have been developed as luxury tourist resorts. 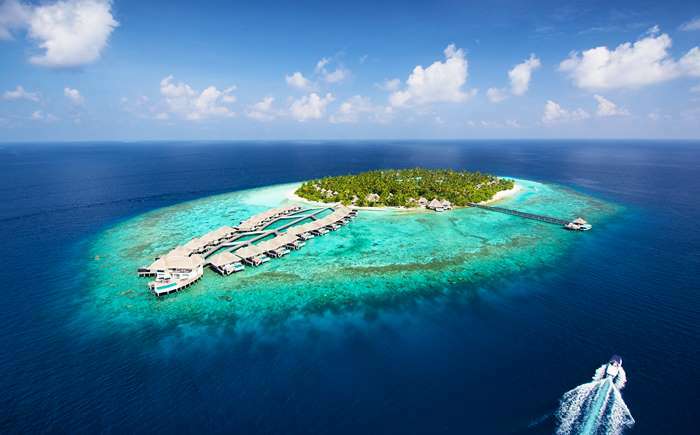 The Maldives is located in the Indian Ocean, at the top of the equator. The country enjoys year-round warm weather and a consistent average temperature of 28°C. Water temperatures range between 26°C – 29°C and, when combined with the abundance of tropical fish, marine life, and iconic over-water bungalows, the Maldives is an ideal holiday destination for all water-lovers! There are 26 atolls which make up the Maldives. These ring-shaped coral reefs spread 90,000km2 and form a double chain and make the Maldives one of the most sprawling, unique landscapes in the world! There are over 1000 islands in the Maldives. These take up a total land mass of 298km2 and all are incredibly low-lying. There are no hills in the Maldives—a few islands feature sand-dunes that can reach 2.4 metres above sea level but, generally, land rises between 1 and 1.5 metres above sea level. The Maldives is thought to have been first settled in the 5th century B.C. by Buddhist seafarers from India and Sri Lanka. 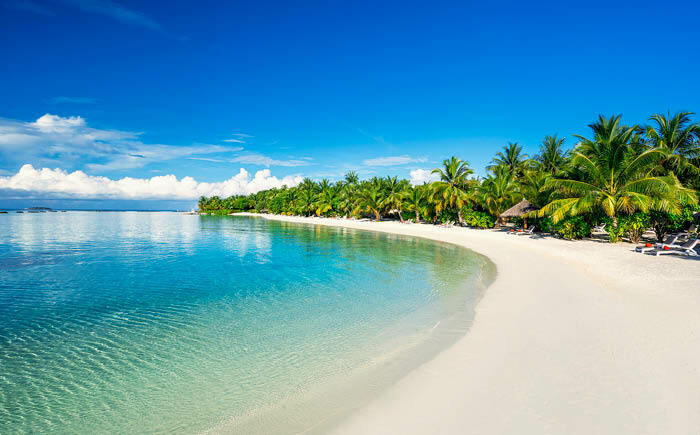 Not much is known about the Maldives in the early years although there were some communications recorded between the Maldivian King and the Roman Emperor in the Ancient Roman period. Around the 2nd century A.D., Arab traders used to stop in the Maldives to trade cowry shells—this was an international currency and the Maldives provided enormous quantities! From the 1500s to the 1900s, the Maldives came under Portuguese, Dutch, and British rule, with a succession of sultans possessing authority and power. Independence was gained in 1965. The Maldives is now a republic and has had a series of democratically elected presidents. There are so many activities to do in the Maldives that you may actually run out of time! From the world-famous diving and snorkelling in the dry season, to surfing in the wet season, plus a variety of resort activities and water sports in between, you’ll find experiences to suit everyone in the Maldives! 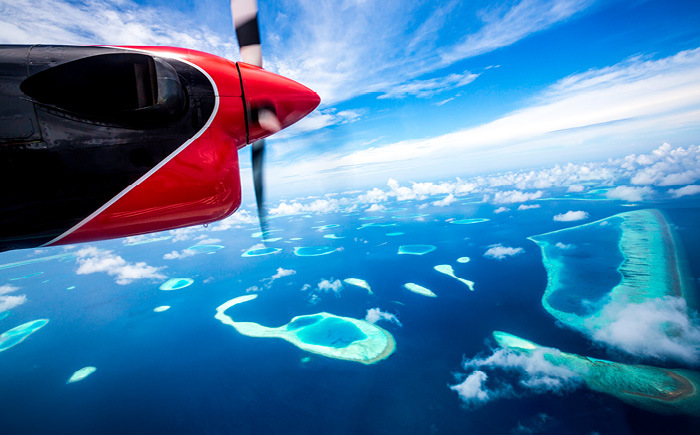 The Maldives is ideal for adventure seekers and lovers of luxury alike. Take a speedboat or seaplane to transfer from the airport to your chosen resort, and settle in for a holiday filled with kayaking, spa treatments, night fishing and more! Scenic boat trips are available at sunset and you can arrange private picnics on the beach for a romantic touch! The options are endless in the Maldives—it really is the perfect holiday destination! If you have a question about going on a Maldives holiday, contact one of our friendly My Maldives Holiday Experts, or check out our exclusive Maldives deals today!